The state report cards have been around for several years. Their erroneous grades and convoluted metrics have been so well documented, that educationally, they are about as relevant as Kardashian reruns. It’s unfortunate that districts now need to deal with the annual damage control when they are released. The real victims are our students. It’s important for us to remember why these report cards were conceived. It was, quite simply, to make us look bad. The corporate reformers, with help from ALEC, created standardized testing, value-added, and then the report cards, as a way to convince the public their schools were failing. The public didn’t buy it. But don’t count on the vultures to fly away when there’s money to be made. 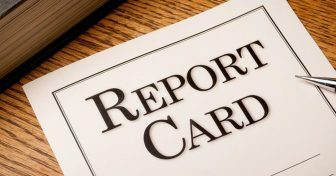 Despite the fact the legislature knows the report cards are full of problems and half-truths, they are still being used to shut districts down, a thought inconceivable not too long ago. HB 70 uses the report card data to dismantle the school board and replace administrators with a CEO who can basically do whatever he wants. Youngstown and Lorain Schools have already been taken over, East Cleveland is in the process, and Dayton Schools is next in line. The slow, but steady process to turn every school in these areas into a charter school has begun. The real victims are our students. The one thing the report card does show is an undeniable link between test scores and poverty. In fact, Ohio’s lowest performing districts, those with a performance score under 70, have eight times the number of low-income students as districts with a performance score of 100. So now these students, the ones who need more support, stability, and love than all the others, will be transported to for-profit charter schools. And we all know how well that works out.